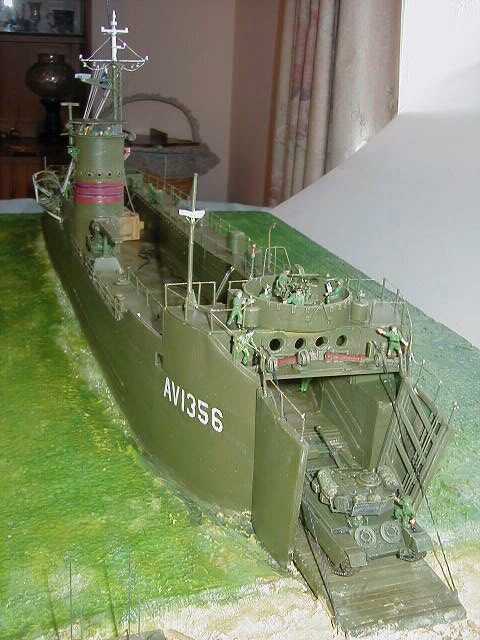 The Australian Landing Ship Tank by John Loughman. John is a friend of mine who is retired. he visited me a few months ago and we talked about models and this time about ship models in particular. He mentioned he wanted to build and LSM and I mentioned that I happened to have some scale drawings I picked up a few years ago. 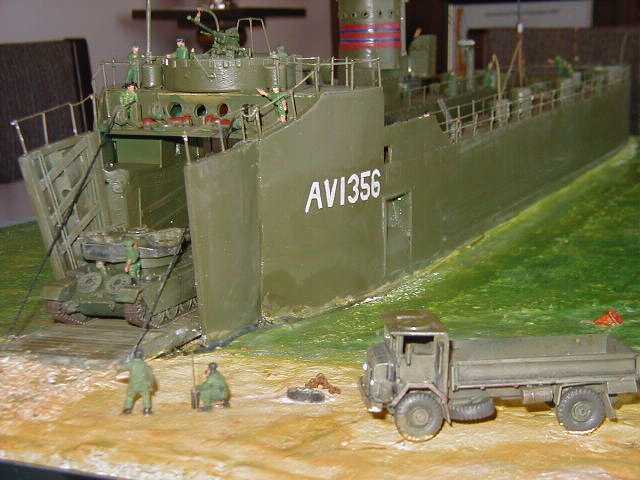 He borrowed the plans and 2 to 3 months later this 1/76 scale model of the LSM in a resin sea is the result. 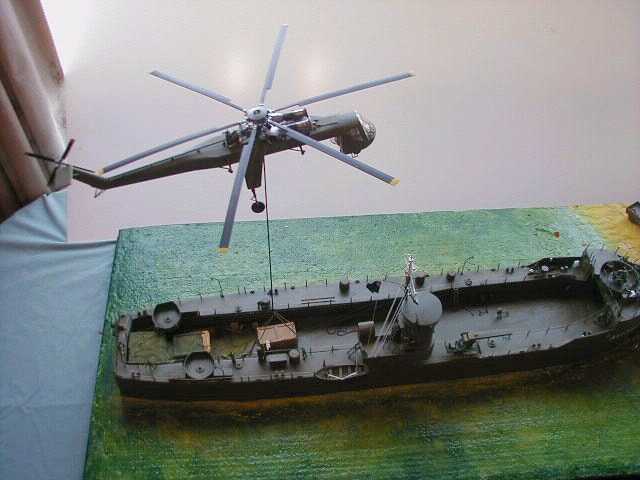 The images show a model of an Australian LSM landing Australian Centurions in South Vietnam.